This article was written by the EJC's grants team members Elise Rochez, Cristina Romero and Petra Krischok. It was inspired by this piece by Eric Karstens. The Global Health Grant Programme for Germany has awarded 19 projects in three application rounds since autumn 2016, reporting global health stories from Africa, Asia and South America. In addition, almost 400 grantees worldwide have benefited from the Innovation in Development Reporting Grant Programme (IDR) in the past five years; another approximately ten grantees will be awarded these days with a Global Health Grant for France. Now there is a fourth call for global health reporting proposals open for projects to be published in German media outlets, worth €15,000 on average each! The deadline to submit is 11 July 2018 (22:00 CET). Some pitches are rejected just after taking a first glimpse at them simply because candidates do not read the terms and conditions of the grant carefully. Furthermore, donors often use lingos that come from their own background, making it less straightforward for the applicants to fully comprehend the message. We would therefore suggest that you discuss the terms and conditions of the call with your colleagues and peers, as well as with yourself! Asking questions to each other and comparing your answers will help you to determine whether you are on the right track or not. Being too broad about your skills and the way the project will be implemented is a mistake that candidates repeat time and again. Vague statements and a loose concept will not demonstrate why you are qualified to receive the grant. We would recommend that you present a solid, strongly-focused and compelling approach to the story you want to tell and that you make sure that the format fits well with the proposed editorial concept. As the grants come at about €15.000 on average each, it is essential that you convey confidence and trust that you will deliver on what has been promised. Your choice of words is also important, avoid therefore expressing yourself in terms such as ‘I hope I will’ or ‘if everything goes well I might be able to report’. At the same time, you need to be humble and not underestimate the difficulties the production process may encounter. You may face unexpected problems with security, travels or government interference. Let us know that you are aware of the risks and difficulties involved. Whenever possible, show that you have worked on similar projects in the past, that you are knowledgeable of the subject and that you are surrounded by an experienced team. Most candidates submit their applications on the very last days, but you should not join the club. Since you will be required to fill an online form in most cases, explore its specifications and familiarise yourself with it in advance. Besides gathering all the required material, check the formats and volumes that are accepted, as you may need to convert and compact your documents. Try to have all things settled some days before the deadline. Now that you know what you should not do when applying for a grant, here are some tips from our grants team on what you can do to increase your chances of being selected. Read the application texts fully, ideally several times! You will discover nuances in the second and third read. Adapt your CV to highlight professional experience that may be relevant to the grant you are applying for. Talk to previous winners. They can give you invaluable advice on what made them successful and their lessons learned. Show your application to others and be open to feedback. By doing that, you will be able to know whether the way you explain yourself makes sense to people who are not experts in your subject area. Think about the social value that your project can bring to society. 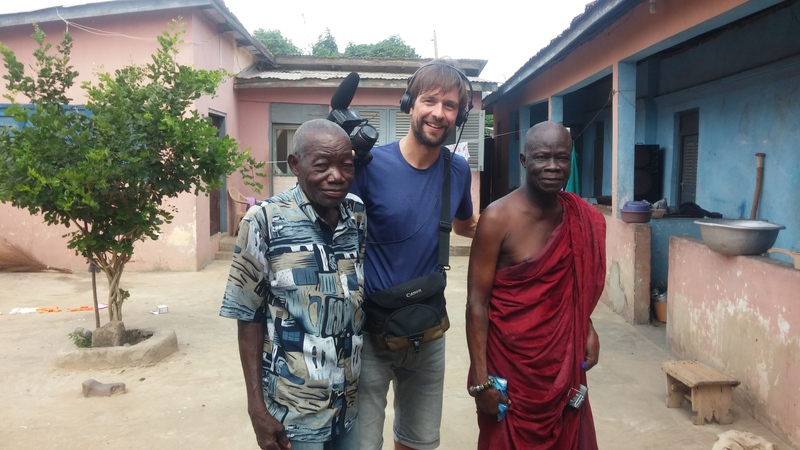 Whether it is awareness raising or improving a remote community’s life, grant giving organisations need to understand the potential impact of the journalism they will fund. And ultimately, learn to deal with disappointment. Do not get too frustrated if you are not selected for a grant. Sometimes you can be awarded with an application that you think is not so impressive, while other times you believe you have a great project, but it is not selected. Keep on trying! We are currently calling for proposals on global health for Germany! Pitch us an original and preferably under-reported story on global health in developing countries. The deadline closes on 11 July 2018 (22:00 CET). You can apply online here. But make sure to check first the eligibility criteria and our FAQ section. If you want to discuss your project, register for an ask-me-anything session on 12 June via skype by writing to [email protected] before 11 June. This article has also been published on Medium.